ファブリックの違いで驚く程印象が変わります。（村澤一晃） Wherever you cut this chair, there is no same shape section. 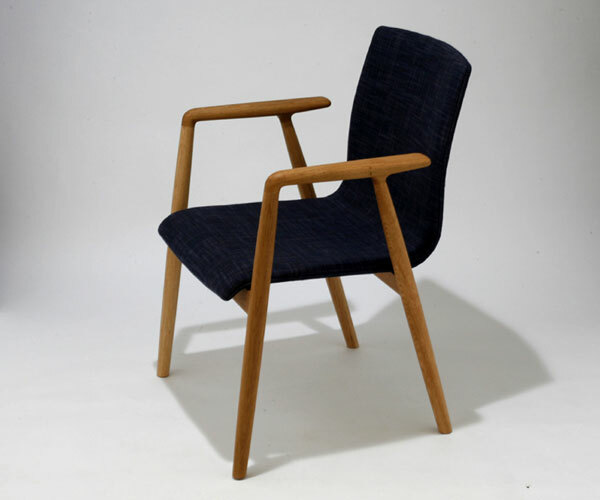 The continuous line of this chair is the characteristic design. You can feel soft and tender feeling of wood when you touch the wood frame. The elasticity of the back seats makes you comfortable and not tired when you sit in. It looks very different when you change the fabric.